1. Surprise him/her/they with a date night out. 2. Make a weekly date to spend time with this person as a part of your own wellness routine. 3. Purchase a gift certificate to his/her/they favorite restaurant for one on one time. 4. Take the day off work go hiking together outdoors at least an hour away from where you live so you can spend some more quality time together in the car on the way out of town. 5. Star a new hobby together (indoor rock climbing, cooking, tennis, book club, pottery, etc). Who doesn't have a quality time in Red Slug Bug or cruising in their car with their favorite person down the open highway singing their favorite songs at the top of their lungs? 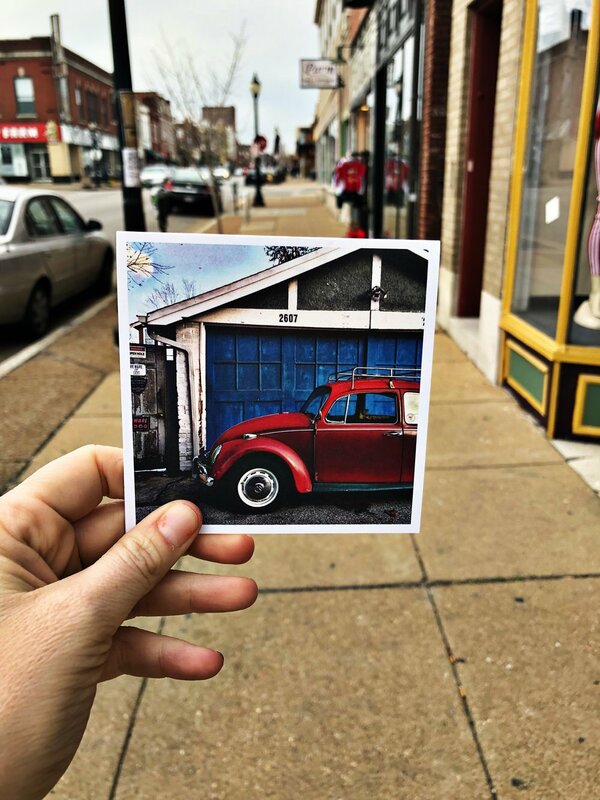 If your favorite person's heart strings are tugged at the hint of quality time with you, I believe the Slug Bug STL Heart Card is for you! You can purchase this STL Heart Card here.